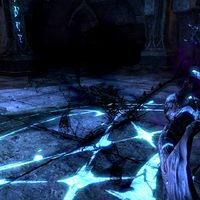 The Shadow Proxy is a shadowy clone of Shadowrend that the main boss summons during the fight. It should be killed quickly to simplify the fight. A basic melee attack that does moderate physical damage. Banishing the Banished: Help imprison the spirit of an evil Altmer. Pledge: Banished Cells I: Explore the Banished Cells I and return Undaunted. This page was last modified on 21 March 2019, at 19:22.